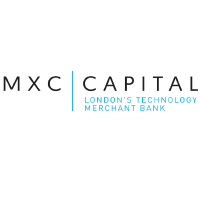 The share price for MXC Capital Ltd with company EPIC: LON:MXCP has increased 3.85% or 0.05 points during today’s session so far. Investors are a positive bunch during the session. Range high for the period has seen 1.35 dipping to 1.32. The total volume of shares traded by this point was 20,000 while the daily average number of shares exchanged is 993,786. A 52 week high for the stock is 1.54 about 0.24 points difference from the previous days close and putting the 52 week low at 1.12 a difference of some 0.18 points. MXC Capital Ltd has a 20 day moving average of 1.34 and now a 50 day SMA of 1.31. This puts the market cap at £45.36m at the time of this report. Share price is traded in GBX. Mcap is measured in GBP. This article was written with the last trade for MXC Capital Ltd being recorded at Tuesday, February 12, 2019 at 11:36:35 AM GMT with the stock price trading at 1.35 GBX. Shares of NMC Health PLC company symbol: LON:NMC has climbed 1.81% or 48 points throughout today’s trading session so far. Market buyers seem confident while the stock has been in play. Range high for the period has seen 2710 while the low for the session was 2646. The number of shares traded by this point in time totalled 210,286 with the daily average traded share volume around 874,932. The stock 52 week high is 4376 amounting to 1726 points difference from the previous days close and the 52 week low at 2508 a difference of some 142 points. NMC Health PLC now has a 20 SMA of 2704.3 and now a 50 day simple moving average now at 2851.91. This puts the market cap at £5,617.52m at the time of this report. The stock is traded in GBX. Mcap is measured in GBP. This article was written with the last trade for NMC Health PLC being recorded at Tuesday, February 12, 2019 at 12:03:43 PM GMT with the stock price trading at 2698 GBX. The trading price for SCHRODERS/PAR VTG FPD 1 ticker lookup code: LON:SDR has gained 1.43% or 38 points during today’s session so far. Market buyers have remained optimistic throughout the session. Range high for the period so far is 2717 and a low of 2670. The total volume of shares exchanged so far has reached 36,395 whilst the average number of shares exchanged is 362,800. The stock 52 week high is 3663 which is 1005 points difference from the previous days close and the 52 week low at 2289 which is a variance of 369 points. SCHRODERS/PAR VTG FPD 1 now has a 20 simple moving average of 2652.5 with a 50 day moving average now at 2563.91. The current market capitalisation is £7,294.28m at the time of this report. All share prices mentioned for this stock are traded in GBX. Mcap is measured in GBP. This article was written with the last trade for SCHRODERS/PAR VTG FPD 1 being recorded at Tuesday, February 12, 2019 at 12:04:50 PM GMT with the stock price trading at 2696 GBX. The share price for SSE PLC with ticker code: LON:SSE has risen 1.19% or 14 points throughout today’s trading session so far. Traders are a positive bunch while the stock has been in play. The periods high figure was 1192 meanwhile the session low reached 1175.5. The amount of shares exchanged has so far reached 517,600 with the daily average traded share volume around 3,791,471. A 52 week high for the stock is 1449.5 some 275.5 points in difference on the previous days close and a 52 week low being 1026.5 a difference of some 147.5 points. SSE PLC has a 20 SMA of 1163.13 and now a 50 day moving average now of 1122.54. The current market capitalisation is £12,195.27m at the time of this report. The currency for this stock is GBX. Market cap is measured in GBP. This article was written with the last trade for SSE PLC being recorded at Tuesday, February 12, 2019 at 12:03:34 PM GMT with the stock price trading at 1188 GBX. Click MXCP NMC SDR SSE for the full archive.